Yesterday on twitter, Larry Carvalho was talking about the next big AWS step; on-premise availability zones. That’s interesting, but if we think of it on a broader scale; why don’t run / create something like the renewable energy market or even treat cloud computing as a renewable source of computing ? Imagine that AWS could act as broker for that renewable source of energy – in this case computing resources. 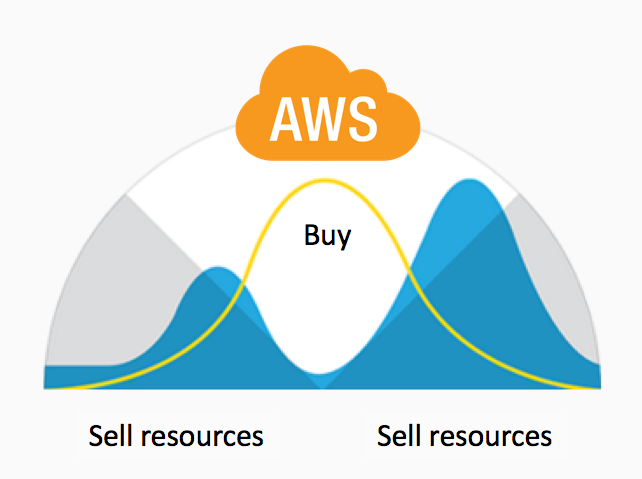 You already have the kit installed (your on-premise datacentre), you could consume that when you need – as it is -, harvest non used computing cycles and ingest into the public cloud network, which then AWS would give you credits to run stuff on their cloud and, of course, use the cloud when you have peaks. That would not only revolutionises the whole computing market, but also provide a better choice for those who for some reason want to keep their on-premise kit. It would a distributed cloud computing architecture, the Tesla Powerwall of cloud there on your side, with the AWS massive scale providing then local availability zones. I know that there’s Nerdalize (awful name tbh) but that’s for homes, not for on-prem datacentres. So, if you think of it, the future of cloud computing could be on premise.